True keepsakes. Perfect for Jewish, Birthright, Bat/Bar Mitzvah and Christians traveling to Israel. Capture Israeli sites, memories and emotions. Write, draw, include Israel photos and Israeli stamps. Gift these inspirational journals to family and friends. Exceptional memoir and diary journals. 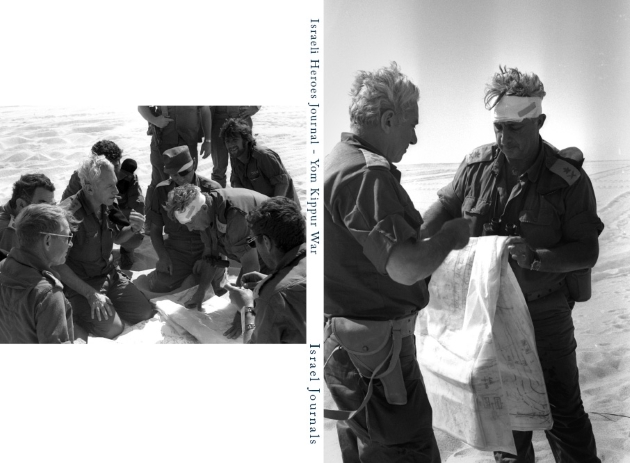 Yom Kippur War: Maj. Gen. Ariel Sharon & Chief of Staff, Gen. Chaim Bar-Lev (Front), with Gen. Moshe Dayan (Back). Purchase with Amazon Prime. 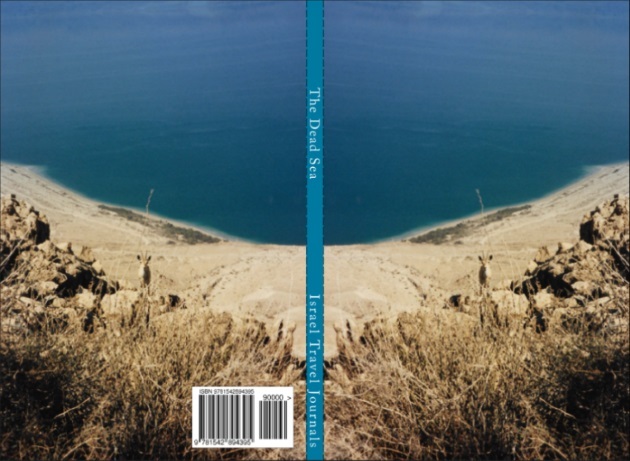 Israel Travel Journal: Dead Sea Mountains. Purchase with Amazon Prime. 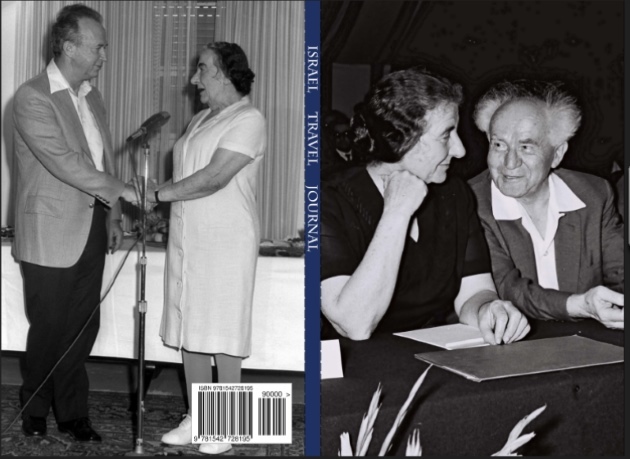 Front Cover: David Ben-Gurion and Golda Meir (1959). 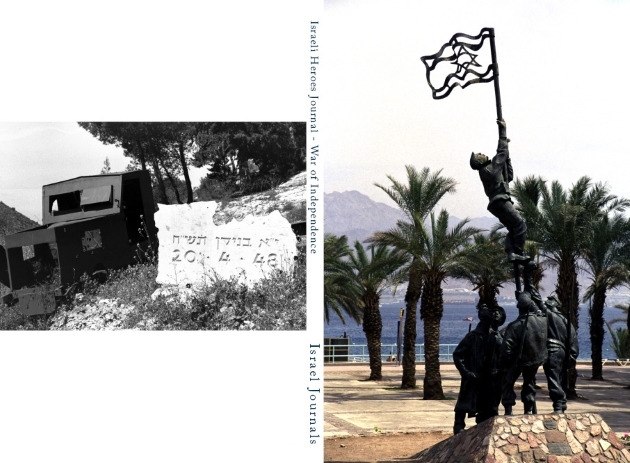 Front Cover: IDF Artillery Officer, 1950. 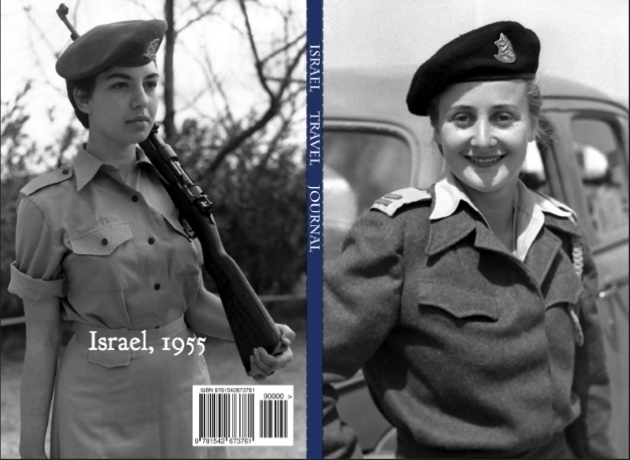 Back Cover: IDF Women’s Corp Officer, 1955. Purchase with Amazon Prime. 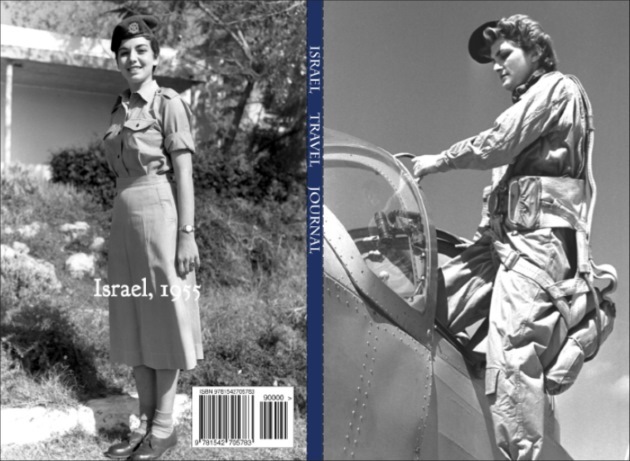 Front Cover: Israeli Pilot, 1955. Back Cover: Israeli Women’s Corp Officer, 1955. Purchase with Amazon Prime. 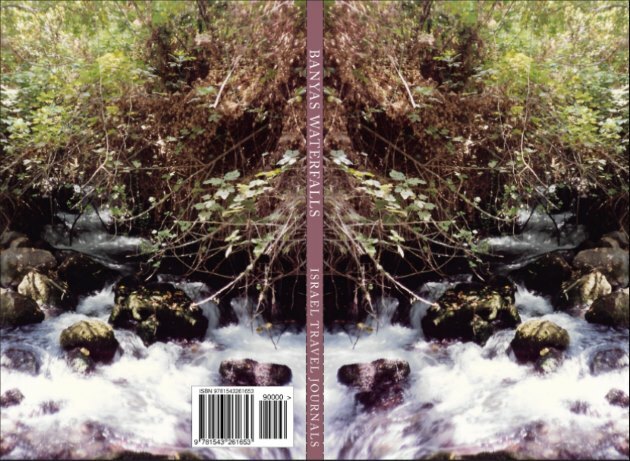 Israel Travel Journal: Banyas Waterfalls. Purchase with Amazon Prime. Save over $20.00! Buy the 7-Journal Set for $40.00 & Free Shipping.